Johnny Albert is the foreman of a silviculture crew planting for PF Olsen this winter. When Ged Terry, PF Olsen’s Chief Operations Officer, visited the crew he was impressed with the safety induction he received from Johnny. A safety induction is an important first-step before visitors come onto any worksite, and it ensures a safe visit. It also tends to be a good gauge of general safety performance at that site. 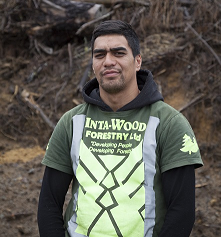 Johnny is with Inta-Wood Forestry Ltd and first started with them in 2007. Although Johnny has worked in other industries he says: “I keep coming back”. 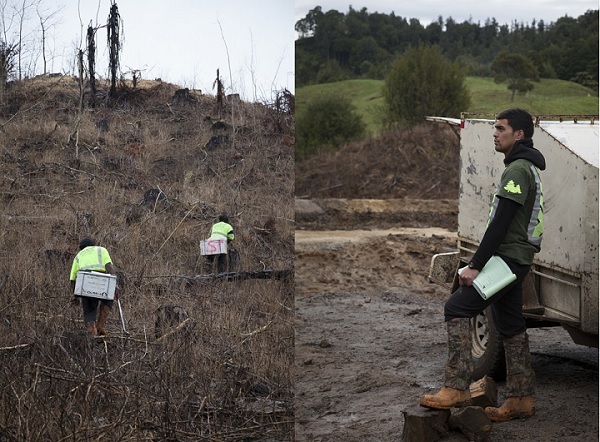 It’s clear that forestry is for him - it’s his work. This is Johnny’s first year as the foreman of a crew. The responsibilities of his new role “have lifted his head to see a wider picture”, and he can see that “good health and safety relies on good planning and processes”. A visit to the site shows that Johnny has put a good deal of thought and effort into planning. Every morning he conducts the toolbox meeting and another after lunch where they discuss the morning run and the risks for the afternoon run. He works closely with the crew as well as keeping on top of reporting, inspections, safe behaviour observations and incidents. We would like to wish Johnny all the best for his future in forestry, for his future study and in his current role. He is a safety champion in the making.